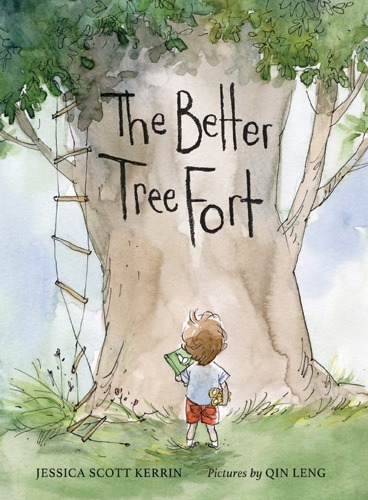 13:00 14:00 The Blue Spruce Award™ Ceremony Toronto - Concert Stage For early readers, The Blue Spruce Award™ has served as the first introduction to the world of books for many years! This collection of nominees showcases the very best in Canadian literature and illustration. Our readers decided their favourites based on the stories and the pictures. 11:30 12:30 The Red Maple Fiction Award™ Ceremony Toronto - Concert Stage This year, The Red Maple™ Fiction Award program swept up readers into many exciting fictional stories by talented Canadian authors. Including a variety of tales, from hilarious to heartbreaking, this selection of nominees has it all! Our readers chose the winners, so come on out to see your favourite author awarded the well deserved Red Maple™ Award! 12:45 13:45 The Red Maple Non-Fiction Award™ Ceremony Toronto - Harboufront Centre Theatre This year, The Red Maple™ Non-Fiction Award program swept up readers with so many interesting and though provoking topics written by Canadian authors. From topic on the environment, innovation, space and human rights these books educated and entertained our Red Maple readers! Our readers chose the winners, so come on out to see your favourite author awarded the well deserved Red Maple™ Non-Fiction Award! Andy Thibodeau was called “Mr. School Spirit” by King’s at Western University when they named him alumni of the year in 2014. This passion for leadership and school spirit started in elementary school when Andy successfully ran for student council Vice President. From organizing dances in grade 8, pep rallies in high school and orientation week in University, Andy’s enthusiasm for youth leadership led to his unique career of inspiring students and staff across the continent. Since 1992, Andy has delivered thousands of fun inspirational presentations to schools and conferences across North America. Over two million people have seen him speak in all 10 Canadian provinces, the Yukon and 40 US states. Each year over 160 schools, conferences and charities are IMPACTED by his messages. 2018 will be Andy’s third time as the MC for London’s Festival of Trees. With two daughters in elementary school who are avid readers, he is thrilled to share the stage with Canada’s best children’s authors. Andy lives in his hometown of London with his wife and two daughters. He has his History degree on the dean’s honour list from King’s College at Western University. Andy empowers student leaders because he was always an active student leader: Student Council VP at Nicholas Wilson Elementary school, Student Council President at Sir Wilfrid Laurier Secondary, and Orientation Week coordinator in University. A highlight of his student leadership career was when Much Music named Laurier the “Most Spirited School in Canada” while he was president. 10:00 11:00 The White Pine Award™ Ceremony Toronto - Concert Stage This year, The White Pine™ Award reading program offered teenagers the opportunity to read the best of Canada's recent young adult fiction titles. This year's exciting nominees tackled everything from fantastical worlds to the real life experiences of today's modern teenager. Our readers chose the winners, so come on out to see your favourite author be awarded The White Pine™ Award! Could you become a character who isn’t you, and make it believable? Will your unique style and words make your character come alive? Is it possible to live through your character’s words and let them take you on their own journey? If 60-something Janet Wees was able to write as 9 year old Walter, you too can inhabit your protagonist’s heart and mind and become his/her voice. Ask how she did it; use your imagination to be someone different, or tell your own story. From first inspiration to final illustrations, Deborah and Suzanne will explain how a picture book gets created, answer audience questions, and include personal behind-the-scenes stories about the making of Sun Dog. 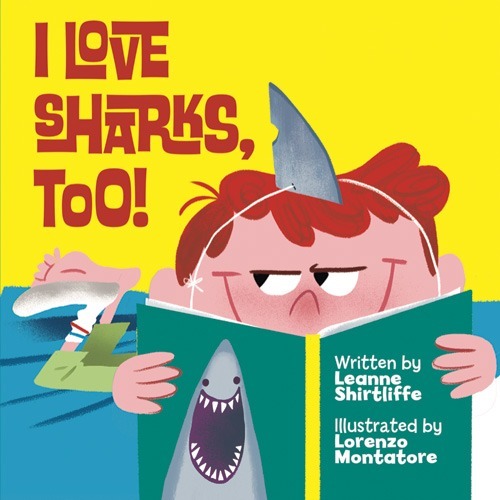 12:15 12:45 WORKSHOP: Leanne Shirtliffe (I Love Sharks, Too!) Toronto - Brigantine Patio In this high energy session, Leanne Shirtliffe will share top secrets about writing I LOVE SHARKS, TOO! An interactive question-and-answer session (where no question is too weird to ask!) will follow. And maybe, just maybe, she will sneeze like Donald Duck. 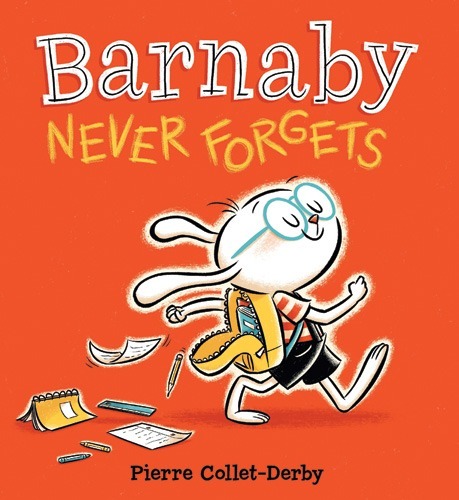 10:15 10:45 WORKSHOP: Pierre Collet-Derby (Barnaby Never Forgets) Toronto - Brigantine Patio Everybody Can Draw! In this interactive drawing workshop, Pierre Collet-Derby shares some simple tips that will help you create any character from your imagination, all while having fun. Sharpen your pencils and be ready to draw! Russell loves to listen to birds from his tree fort, but you don’t need to build one to enjoy their beautiful songs. Jessica will show how she came up with her story idea just by using her ears. Discover how you can, too! 10:30 11:00 WORKSHOP: Eric Walters (Fourth Dimension) Toronto - Brigantine Room It all starts when it all stopped. The Rule of Three trilogy is about what happens when every computer, car, airplane, electricity and communication device all stop working. Through Adam, the protagonist, we see how the world around him devolves into chaos. Fourth Dimension, the 'fourth in the trilogy' follows a new character, Emma, through the same situation. The author will also discuss the role of his grade 5 teacher - a major character in the book and the person the book is dedicated to - and the role of teachers in changing lives. 10:15 10:45 WORKSHOP: Lorna Schultz Nicholson (A Time To Run: Stuart & Sam) Toronto - Lakeside Terrace Let’s Write a Story! Where do ideas come from? How do you take that idea and make a story? How does it end up being full-length a novel? Lorna is passionate about stories, and loves talking about the writing process. This session will be an interactive Q and A. Come with your questions! 11:15 11:45 WORKSHOP: Kathy Lowinger (Turtle Island: The Story of North America's First People) & Erica Fyvie (Trash Revolution: Breaking the Waste Cycle) Toronto - Lakeside Terrace Writing nonfiction is like traveling through time to a fantastic destination. You have a great idea, but … what’s the travel plan? How do you research the artifacts? Join us as we share details of our own nonfiction journeys, from the history of Indigenous peoples, to a look at what we trash. Have you ever felt misunderstood by your peers? Come and explore stereotypes that you face, and how writing (or self-expression?) can help challenge them! Following a short discussion of some of the stereotype-busting stories in #NotYourPrincess, you’ll have a chance to brainstorm how you can respond to the stereotypes and misunderstandings that you face. 10:30 11:00 WORKSHOP: James Bow (Canadian Structures and Sustainability) Toronto - Main Loft Canadian Structures and Sustainability: why things fall down, how we build them up, and how we have to make them work with, and not against, the environment. Every story starts with an idea. But what if you don’t have one? During her years writing advertisements, scripts and novels, Vicki Grant has found herself in that spot many times. She’ll share the fun tips and techniques she’s picked up along the way for generating story-worthy ideas. Kristen Ciccarelli, author of "The Last Namsara" and Colleen Nelson, author of "Sadia", will grill each other on tough topics related to writing and their Red Maple nominated titles. Do you have a burning question for one of them? Now’s your chance to ask! There will also be a Q and A period for audience members. 12:15 12:45 WORKSHOP: Darren Groth (Munro vs. The Coyote) Toronto - Studio Theatre How to Make a Munro’: An engaging look at the making of White Pine nominee, Munro vs The Coyote; its inspirations, its craft and its most challenging Coyote moments. The session includes a Q&A and an interactive game called ‘Coyote Says’. 12:30 13:00 WORKSHOP: Susan Sinnott (Catching the Light) Toronto - Main Loft In the story, Catching the Light, Mariners Cove is a very distinctive place in which to grow up: small, isolated, beautiful, surrounded by water. Would Cathy and Hutch be the same people if they had grown up on the prairies or in your town? Come learn a few tricks to help your stories come alive! We'll discuss what makes for effective description, examine the difference between descriptive and labelling adjectives, and study how to use the senses to evoke better imagery. Pam Withers (Tracker's Canyon) and Jean Mills (Skating Over Thin Ice) will share the stories behind their stories - real-life fun facts about the characters, action and settings in their books. Bring your questions for a Q&A session, too! 13:30 14:00 WORKSHOP: Marsha Forchuk Skrypuch (Don't Tell the Enemy) Toronto - Brigantine Room Ask Anything! Marsha Forchuk Skrypuch, author of Don't Tell the Enemy, Making Bombs for Hitler and 20 other books offers an open forum about all questions book and writing related. How to deal with blank page syndrome? How do authors get paid? How do you do research? ... What do you want to know?